The Edmonton Oilers have been engaged in recent trade discussions with multiple teams about goaltender Cam Talbot, TFP has learned. Talbot, who is scheduled to become an unrestricted free agent July 1, is expected to be moved by the Feb. 25 trade deadline, despite recent talks with the club about the possibility of a contract extension. 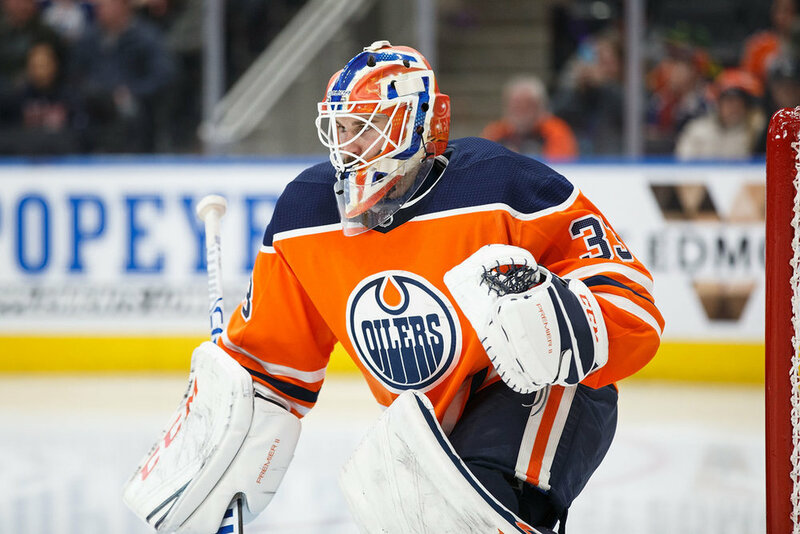 It’s unclear, at this point, if a trade is imminent, but the Oilers management brass has been speaking with other teams about a potential Talbot trade, multiple sources have told TFP. Talbot, who sits 17th on TFP’s Top 30 Trade Watch List, owns a 10-team trade list, but has been willing to expand on his list. Prior to the Oilers GM change last month, the Oilers tried to trade Talbot to a non-playoff Eastern Conference club, but the 31-year-old netminder declined to waive his NTC for that specific team. The two teams have not discussed a potential swap involving Talbot since. The San Jose Sharks, New Jersey Devils, Philadelphia Flyers and Toronto Maple Leafs are among the teams believed to have expressed some level of interest in Talbot.